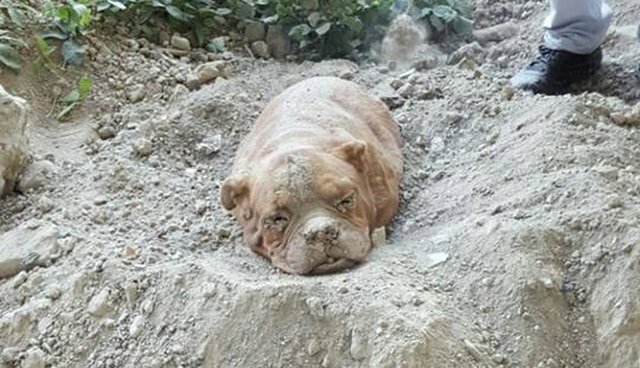 In an unconscionable act of animal cruelty, someone had left this old dog to die a slow death all alone beneath a mound of dirt and stones. But in spite of that evil attempt, reflecting the worst of humanity, the decency of human kindness has prevailed. Earlier this month, Pedro Dinis was walking his dog near his house in the suburbs of Paris, France, when he made the sickening discovery, one he nor anyone else was meant to see. There, off the beaten path was a helpless creature clinging to life - a dog buried alive. "Only her head was visible and it was difficult to see given the amount of earth covering her," Dinis wrote on Facebook, adding that he was "in the right place at the right time to save a life." Dinis quickly set about free the dying dog from what had been her early grave. The dog Dinis was walking even joined in on the rescue. It soon became clear that whoever had put the animal there had not done so mistaking her for dead. The dog wasn't only buried up to her head, she was also tied down with a rope to prevent her from escaping. Slowly but surely, Dinis managed to free the dog from the ground, offering his water to pull her back from the verge of death. The dog has since been sent to an animal hospital where she is recovering from dehydration and shock. Thankfully, the dog's life is reportedly no longer in danger. Finding the person responsible for this cruel act might have been impossible had the dog not been carrying one key clue. According to Le Parisian, a tattoo was found on her body which led police investigators to her owner, who claims the dog had run away. Considering the dog is 10 years old and suffers from arthritis, authorities determined that explanation was "not very plausible" and charged the owner with animal cruelty. If convicted, the dog's owner faces two years in prison, and fines of over $30,000. 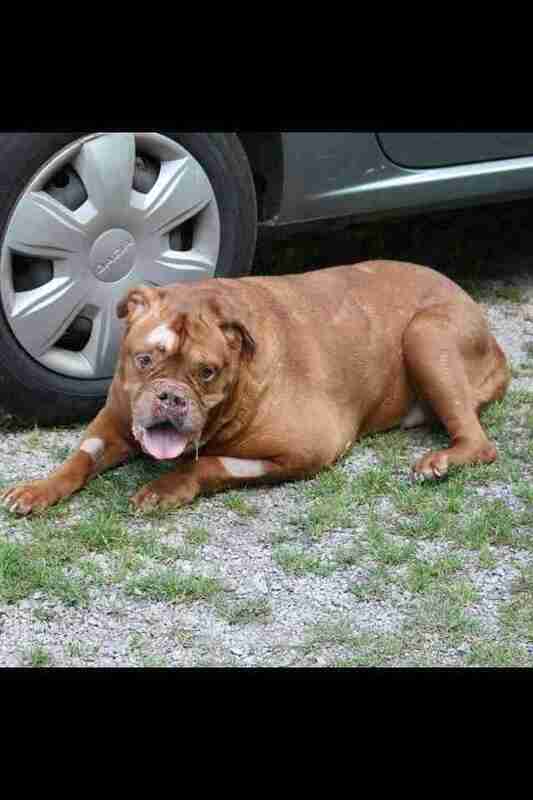 Update: A photo released on Wednesday shows the dog in much better condition.